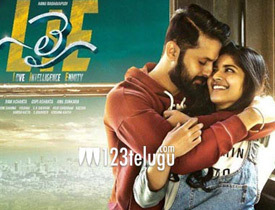 Nithin impressed everyone with his new look in the last year’s release LIE. The film was made on a massive budget but did not work well at the box office disappointing 14 Reels banner in a big way. Now, as all the major Telugu releases are dubbed in Hindi and most of them get released on YouTube, the same was also done with the LIE. The interesting aspect here is that the film has clocked an astounding 50 million views which is surprising. Hanu Raghavapudi directed this film which has Megha Akash as the female lead. Meanwhile, Nithin is busy shooting for his latest film Srinivasa Kalyanam in Hyderabad.